How do we find the people and relationships that will prove meaningful in our lives? Families, both given and chosen, are a subject to which literature consistently returns — whether that’s defining what we think of as family, exploring the yearning for close connection, or the struggle to cultivate deep relationships that are able to sustain us. 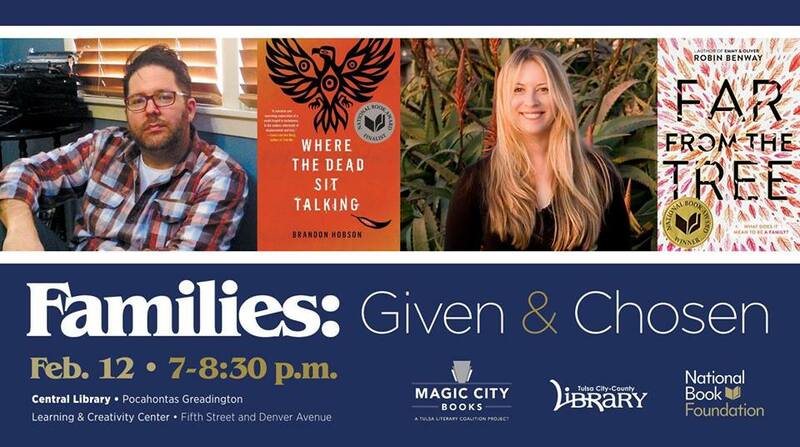 Join the National Book Foundation for a conversation exploring how fiction tackles the defining and portraying of family, featuring 2018 National Book Award for Fiction finalist Brandon Hobson, author of Where the Dead Sit Talking and 2017 National Book Award for Young People’s Literature winner Robin Benway, author of Far From the Tree. This event is free and open to the public. Copies of Where the Dead Sit Talking and Far From the Tree are available for sale at Magic City Books and at the event.